You may have seen those fashion magazines where they have pictures of people wearing clothes the right way and the wrong way. On the wrong way pictures, they usually put a black box over the person’s face to hide the shame of wearing a meat dress or tights as pants. At The Law Offices of John Day, P.C., we wanted to give you some legal DOs and DON’Ts. DON’T tattoo your medical directives on your body. No really, we are serious. In Miami, doctors were recently faced with a very real dilemma when a 70 year-old unconscious man was brought into the emergency room in acute distress. Doctors were surprised to find a Do Not Resuscitate directive tattooed on the man’s chest. The man’s signature had also been tattooed underneath the directive and for good measure the word “not” had been underlined. The doctors had to consult their ethical team (and I feel sure they also consulted their lawyers) to determine how to handle the tattoo directive. Apparently, some people get similar tattoos as a joke and the doctors wanted to be sure they were actually complying with the man’s wishes. Ultimately, they did not intervene and the man died later that night. Later, a corresponding written medical directive was located at the man’s home. While this case worked out as the decedent wished, it could have easily not. Don’t get a Do Not Resuscitate tattoo as a joke — it is not funny. Instead of tattooing your medical directive, put a copy in your wallet or put an ICE (In Case of Emergency) zip drive on your key chain with important legal documents and contact information. You should also provide it to your family and your medical providers. 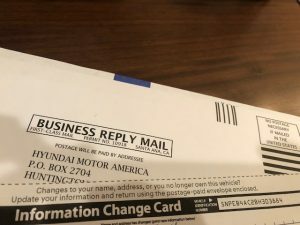 DO be sure to update your address with the manufacturer of your family’s vehicles. 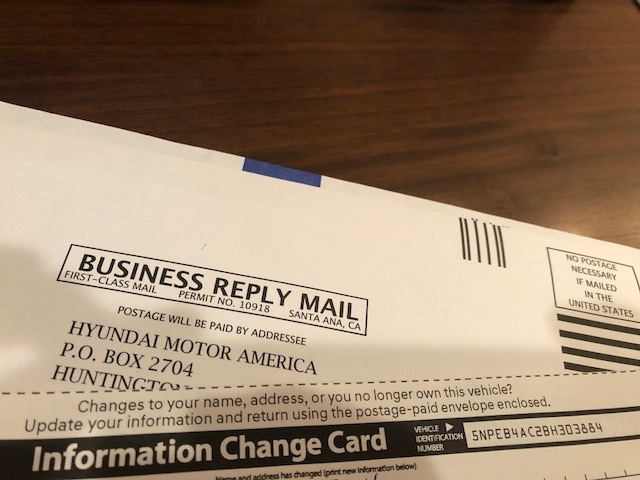 John and I moved this past year and, despite reminding people to do this on a fairly regular basis, I forgot to notify the manufacturer of our vehicles. The buyer of our old house was kind enough to forward a recall notice on our son’s car and it reminded me to do all of them. In the hustle and bustle of moving, it is easy to forget. I wish the Post Office would add this on their reminder list when you do your change of address but, until they do, we will keep reminding you. You can only be notified of important safety recalls if the manufacturer has a current address. DON’T drink and drive this holiday season. Instead, please find a safe ride home. Call an Uber, Lyft or taxi or ride with a designated driver. In Murfreesboro, the Law Offices of John Day, P.C. is pleased to offer a complimentary safe ride home through Uber. Simply go to com to register for a safe ride home on us. You could save a life including your own. DO take a minute to make sure you have adequate insurance. If you have substantial assets, do not risk them by not carrying enough insurance. And just as importantly, make sure you have adequate underinsured/uninsured motorist coverage in case you are injured by a driver without appropriate levels of insurance. For more information on uninsured and underinsured motorist coverage, click here and here.